An actor’s life is a tough one. 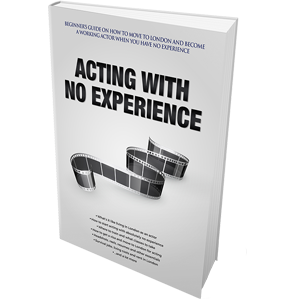 Performers have to deal with regular rejection, forced self-consciousness, decreasing levels of confidence, lack of acting jobs, and constantly coming up with ways how to fund their acting careers or even their acting training alone. To top it all off, actors are never certain when or from where their next paycheck is coming. A truly good survival job for an actor is the only way one can stay fed and continue funding this unfair career choice that will eventually, and hopefully, pay off. The reality is not all roses for most aspiring artists: the only way to become a working actor is to continuously invest in your acting career. And not only do you have to invest your time and plenty of hard work, but money is often involved too. Things like acting classes, headshots, and everything else add up quickly. For that, actors need day jobs (or survival jobs, as they are often called). Unfortunately, decent day jobs for actors are really hard to come by. It’s especially true after one has moved to the major theatre and film cities, where huge pools of competition are fighting each other for the most flexible job positions. If you’re one those actors who just started in the acting business, here is a list of the most perfect day jobs for actors that will keep you fed, sane and alive until your big breakthrough role comes looking for you. 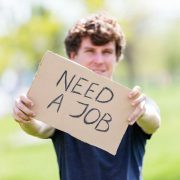 Before you drop everything and move to London to pursue acting, knowing that you can do bartending or be a waitress, know that it’s not going to be easy to get a place in any of the employment options mentioned below. Many actors have already figured out what kind of work will allow them to pursue acting on the side, and they’re going after the same thing you want to. Nevertheless, the jobs are out there for those who are willing to look and try hard to get them. The below list of survival jobs for actors is ranked from “worst” to “best”. These are arbitrary terms, and I’ll explain why each day job is good or not good for an actor. Why it’s good: flexible (ish), part-time and you get to work in the industry. Why it’s not good: hard to find these jobs, pays little, and it’s only part-time. 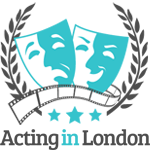 Script reader is an interesting job to have if you want to see how the film industry works, particularly if you’re either in London, Los Angeles or New York. You can also learn a lot about writing your own screenplay and producing your own projects. As a script reader, you read various spec scripts (see the dictionary) on a daily basis and pick the ones you like and think would make a great film. Then bring those to the producer or your supervisor for them to approve it. This can be a good part-time gig if you’re already making some money from acting, or if you have another day job set up. Unfortunately, it’s not really possible to survive just on script reader’s salary, let alone fund your acting career, too. Most script reading jobs aren’t full-time, and with the pay being close to minimum wage, actors need another source of income. Moreover, there isn’t that many openings for script readers anywhere other than Los Angeles. Why it’s good: good pay when including tips, great hours and it’s a fun job. Why it’s not good: very difficult to get a good bartending gig if you’re not already experienced. Bruce Willis at his best. 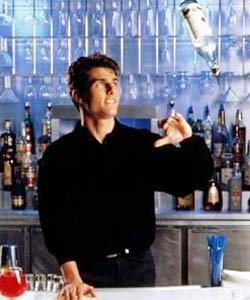 Bartending is one of the best survival day jobs for actors there is in bigger cities, if you can get this gig that is. 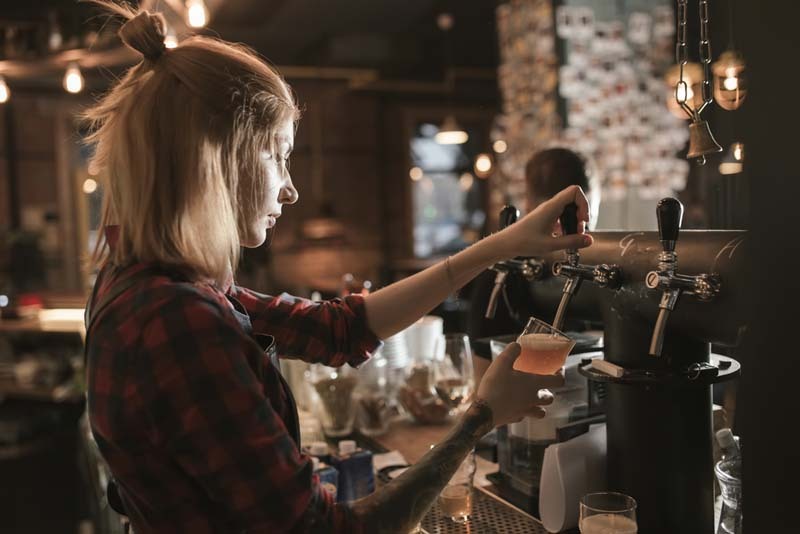 Not only will you be working evenings and nights, which leaves your day free to go to acting classes, auditions and even work as an actor, but being a bartender means a decent pay when you include tips. 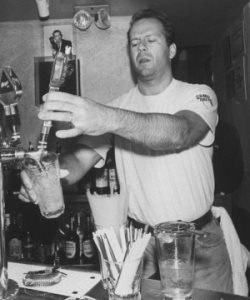 Bruce Willis, Mark Ruffalo and Tom Cruise are known for working as bartenders for a long time while they were studying acting and getting small acting jobs. They were all fond of this gig as well, with everybody enjoying their time as bartenders. On their own, bartenders are payed the most out of the whole serving staff, and depending on the place they work, it could be by a significant amount. Then come the tips and again, depending on the establishment, tippers might be extremely generous. 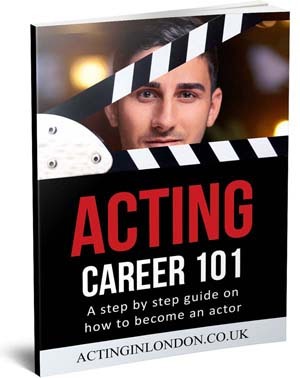 Unfortunately, it’s hard to get this position, because most actors have already taken them. Plus, you really need to be a good bartender with solid experience and amazing personality to even be considered. 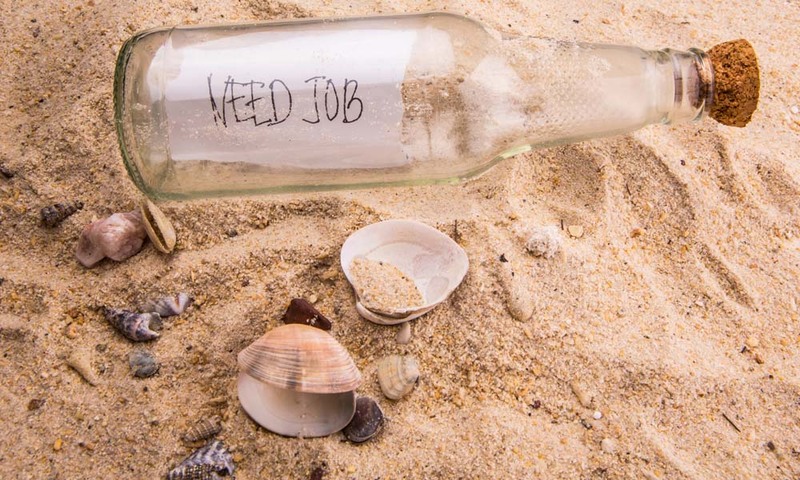 Don’t expect to simply throw bottles in the air for your job interview and get the job. Why it’s good: isn’t too difficult to find these jobs, it’s easy to do and the pay is good enough. Why it’s not good: temporary, and usually during day time. By “temp agencies” I mean getting hired through an agency that will place you in some office to do routine work on the computer (usually). That type of temporary employment is always a good choice as one of the day jobs for actors, because you get paid pretty decent (for an actor, doing a job you aren’t trained for) and you don’t have to stay there for too long. There isn’t any flexibility in terms of “leave when you need” or “work at nights”, however. You will have to come in at 8-9am and leave at 5-6pm, so there won’t be any time for you to audition during the day, nor will you be able to work as an actor. On the bright side, the fact that you work one week so that you can have the next week off (which is how it often works out with temp agencies) can be a good thing for some. The pay isn’t huge, but if doing this on a regular basis, actors can live off temporary jobs if they develop a system of being called in on a regular basis. Why it’s good: can be flexible and you always have someone to cover your shift. 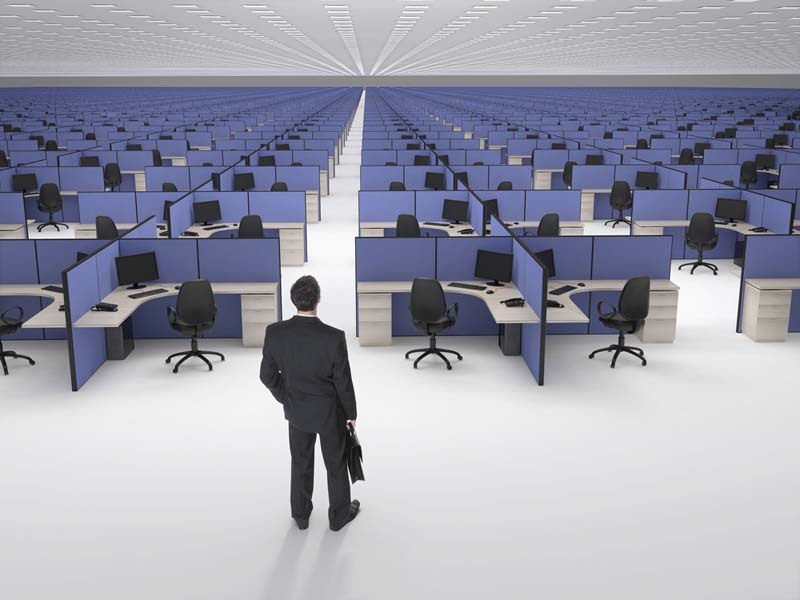 Why it’s not good: not always easy to find a flexible-enough position. Apparently, Tom was good at this. This is arguably the most “famous” occupation most actors have taken on before breaking into the entertainment industry. More than half of struggling actors all around the world have tried waiting on tables, some more successfully than others. Being a waiter/waitress is a good job to have because of the flexibility it provides, especially if you work at a fancy restaurant that gets busy only during night time. On top of that, there is always someone who can cover your shift if you are willing to cover that person when they need it. Covering shifts is an unwritten rule among waiters. 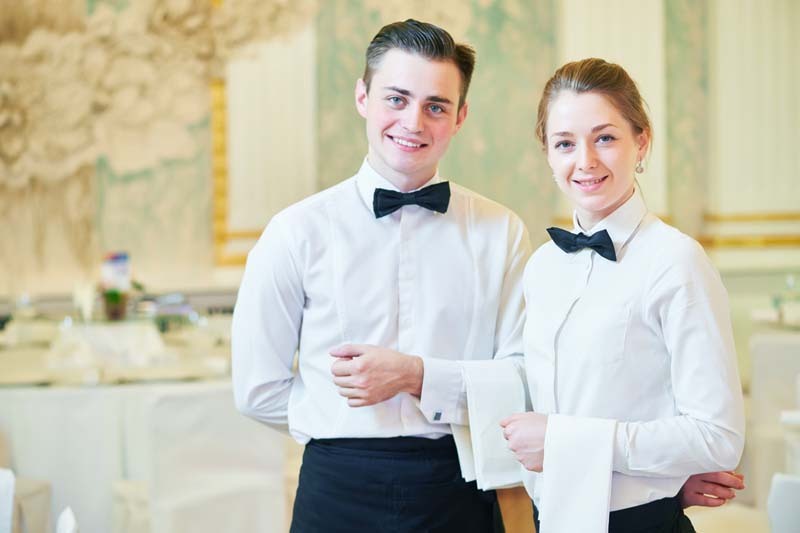 That’s because it’s likely that most of the waiting staff will be pursuing something in the entertainment industry too, especially if you’re in a city like London or Los Angeles. 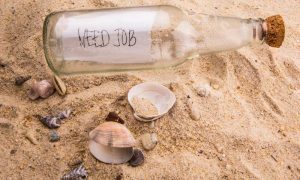 While the job itself doesn’t pay as much as bartending, nor do you get as many tips as bartenders do, it is still possible to survive and fund your acting career on this alone if you include tips and live on a budget. The only problem is again, sometimes it’s hard to get these gigs. Why it’s good: extremely flexible, can be very profitable, and you can work from anywhere. Why it’s not good: takes initial investment in time, doing work for cheap or even free. Being a freelancer is easily one of the best survival jobs for actors for obvious reasons. Freelancing jobs vary, and there are many things you can do, from writing articles online to creating graphic designs and logos. For those who have their way with words and are friendly with grammar, there’s always a business or a website that needs content. The same applies to graphic design or any other service you can provide. Maybe you can do voice overs if you have a way to record it at home, or take great photos of products if you own a decent DSLR camera? The reason is that as soon as you start getting clients who value your work and constantly ask you for more, you develop a client-base, which is a regular return with great pay. In addition to this, you also set your own working hours and work from home, which means actors can easily work during the night and audition during the day. Or if there are no auditions, do even more writing in advance to have some days free later. The only problem is that this will require some initial time investment. You’ll probably need to spend a few weeks writing, creating graphics or providing other services for very cheap or almost free to set up a good track record. It really is an investment, but the one that will pay off long-term. 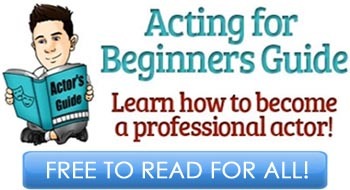 * Do you need more tips on how actors can become freelancers? Let us know by commenting below! Why it’s good: super flexible, work from home and for yourself, no earning limits, build your own venture that’s sustainable and can be scaled. Why it’s not good: requires the most time to start and some initial investments. At the number one position we have setting up your own online business with a website. This can stem either from being a freelancer and then moving away from freelancing platforms and into your own venture, or you can immediately start with creating your own business on whatever you decide. Setting up your own online business is easily the best thing actors can do for their acting careers and their life in general. The reason being is because once it’s all ready, you’re not only earning money to support your acting career, but you’re also building something for the future. When it comes to all other survival jobs for actors listed above – you’re working for somebody else. That means when you’re done, you have almost nothing to show for it. However, if you start your own venture, it’s something that will stay forever. You can continuously scale it and earn more as you continue to expand your business. The best part is that if you ever decide to quit acting, this can be your fall-back plan. You’ll already have another passion and career choice to pursue, the one that can potentially turn into a million dollar company should you decide to go in that direction. 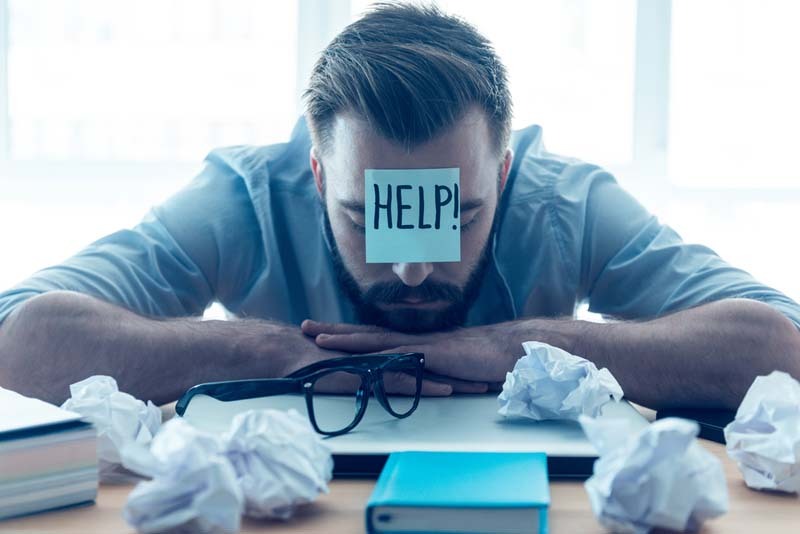 The disadvantage of starting your own online business is that it requires the most time from you with little to no return, and also initial investment. However, starting an online business today is the easiest it has ever been, and you could launch one within 24 hours and with just £100. After that, spend just a few hours a day growing it until you start earning enough. 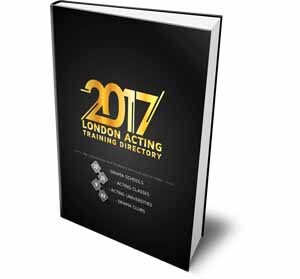 ** Do you need more tips on how actors can become entrepreneurs and create their own businesses? Let us know by commenting below! AMAZING article, could really do with help about how to be a freelancer and how to become an entrepreneur. Thanks, keep up the good work! Thank you for all the information here! Would really appreciate some more insight on how to become a freelancer – are there any websites that help connect freelancers with potential employers? What skills (apart from graphic design or computer programming) are most in demand?